Drusen are small yellow or white deposits that form in the retina or on the optic nerve head. They are accumulations of extracellular material that build up in the eye. The detection of a few drusen is normal with aging eyes, with most people over the age of 40 having at least some drusen. However, large amounts of drusen in the macula is one of the most common early signs of age-related macular degeneration (AMD). Eye doctors can detect drusen during comprehensive dilated eye exams. Macular degeneration occurs when the macula, a part of the retina, begins to deteriorate. The retina is the back layer of the eye that is light sensitive. In macular degeneration, a noticeable change occurs in the pigmented cells in the macula. Cellular debris begins to build up, producing yellow or white particles. These particles, known as drusen, can begin to clog up of transport of oxygen to the photoreceptor cells. The photoreceptor cells, or the rods and cones, require a lot of oxygen. When they don’t receive enough oxygen, they start to degenerate. The macula, which is responsible for crisp, sharp vision, is made up of mostly cone cells. As the cone cells die, detailed or sharp vision becomes blurry and less clear. 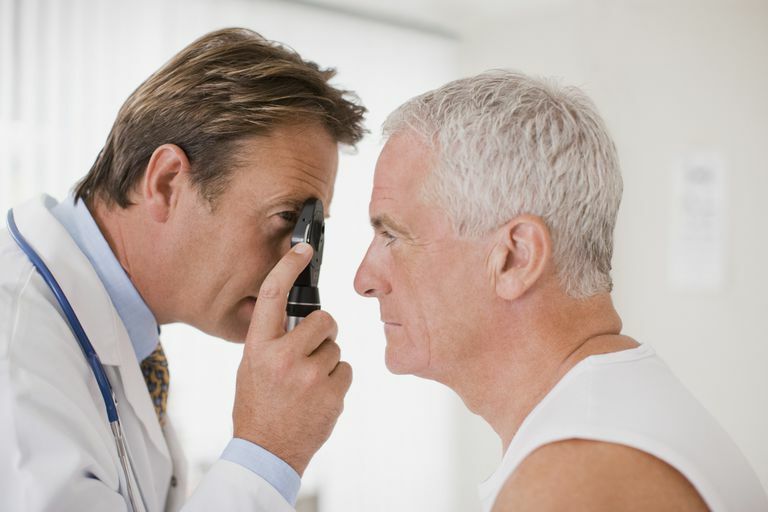 Macular degeneration is the leading cause of vision loss in people over the age of 60. Vision loss in early cases of macular degeneration is gradual, and most people don't even notice it. Pain is not usually experienced. As the disease progresses, vision may be blurred and objects may appear distorted. Patients may complain of missing letters in words or difficulty seeing smaller print. In more severe cases of AMD, there may be a profound loss or graying of central vision, while peripheral vision remains unchanged. Furthermore, color vision may be altered. If your eye doctor detects drusen during your eye exam, it is important to know which type you have. There are two different types of drusen: hard and soft. Hard drusen are small and have sharp borders. They are light yellow and considered to be less harmful. Hard drusen increase with age and may or may not signify the development of age-related macular degeneration. Soft drusen, on the other hand, are larger with less defined borders. Soft drusen are seen in various sizes and shapes. Your eye doctor will be more concerned about your vision if he sees soft drusen. They are considered to be more harmful than hard drusen because they tend to block oxygen from getting to the macula. People who have soft drusen usually have more dramatic changes in vision than those who have hard drusen. Also, a blurry spot may appear in the center of their vision. Porter, Daniel. What Are Drusen? American Academy of Ophthalmology (AAO), 25 April 2018.